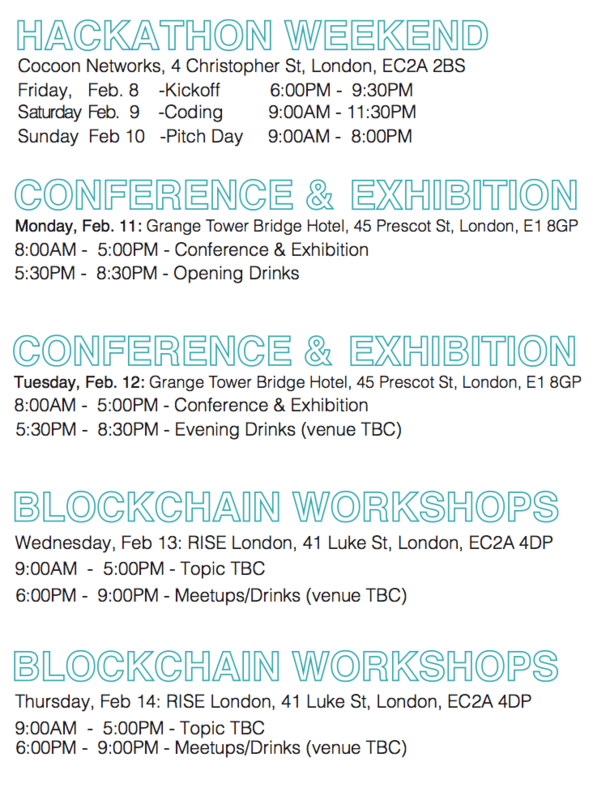 London Blockchain Week 2019 Event. 08.02.2019, United Kingdom, London. Fintech Worldwide Ltd. is an innovation network with an emphasis on transformation and innovation in financial services. We're known for running great events, but after the show you'll find us working hard helping large companies manage transformation projects or taking start-ups to the next level. We assist with transformation projects, start-up scaling, rapid prototypes, hackathons, Innovation workshops and events. We run Europe's largest tech meetup, The Silicon Roundabout Meetup, with 10K+ members. We also run Fintech Tuesday Meetup and several other events, including London Fintech Week, which is one of the world's largest Fintech-focused festivals. We were also the first to run a Blockchain-focused conference in London (now on our 3rd annual event). We've taken The Blockchain Conference to New York, Hong Kong, San Francisco, Washington D.C., Dublin, Amsterdam, and have other majors cities planned in the months to come. Our other events include, Ficoder, FinPitch, Fintech Security, Fintech Regulation & Compliance, Fintectonic, and Insurance Disruptors. Each month we unite hundreds of developers, marketers, designers entrepreneurs and investors for talks and networking. We pride ourselves on having one of the largest global networks of innovators that meet regularly in person. Please get in touch if you would like to collaborate. The morning session will utilise the entire stage. In the afternoon we'll have two tracks running on separate stages.